Lions, tigers and ebola–oh my! Unless you’ve been living under a rock (which is admittedly difficult), you might be aware of the Ebola virus. And that it has entered the USA–one patient, not exactly an epidemic. And, according to public health officials, about 10 people are at risk from the disease from contact with this “patient zero” in the USA. Despite these minuscule, small, tiny numbers, you’d think America is facing a disaster of epic proportions. Not so fast. I’m not saying we should ignore this disease, or minimize it’s danger, but seriously, in the grand scheme of the world, is this something to actually worry about? I have completely ignored the disease, other than mocking homeopaths for attempting to cure the disease, because there are so many infectious diseases that are actually more scary than Ebola. Let’s get some facts then. Ebola, which is sometimes called Ebola hemorrhagic fever, is a fairly rare, but deadly, disease caused by the Ebolavirus, a genus within the family Filoviridae. Ebolavirus can infect both human and nonhuman primates (monkeys, gorillas, and chimpanzees). There are five Ebolavirus species, four of which can infect humans. All have the same signs and symptoms in humans, and must be treated in the same way. Ebola is not easily transmitted, and it cannot be spread through air, water, and food (with the except of contaminated meat). 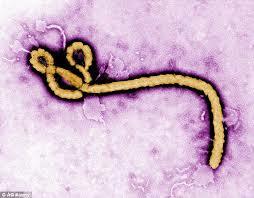 Insects do not transmit the virus, only mammals can be infected and spread the Ebolavirus. Though this may sound like a clear and present danger. But in the world of reality, it generally means that unless you’re in close contact with a victim of Ebola, it’s not going to be easily transmitted from person to person. This isn’t like the flu or other vaccine prevented diseases, which can be spread by casual contact, or by someone sneezing in an enclosed space. I’d be much more concerned that the person coughing on the bus is going to transmit the flu or whooping cough to me than Ebola. In an area with modern medicine, which includes much of the developed world, treatment of the disease is surprisingly simple. Early intervention with oxygen and fluid replacement, along with treatment of secondary infections, is extremely effective. As infectious diseases go, Ebola may actually be one of the least dangerous if it is treated quickly. What is scary, however, is that if left untreated the prognosis is poor. How dangerous is Ebola compared to other diseases? There have been around 14,000 case of Ebola this year in West Africa, which seems to be ground zero for the disease. The death rate for the disease, in West Africa, is around 40-60%, but the rate is lower as more medical resources have been sent to Africa. Let’s put this into further context–the total population of West Africa is around 245 million, which means the absolute risk right now would be estimated to be 6 out of 100,000. That number simply does not scare me. Why? Because there are many more frightening diseases (both infectious and non-infectious) in the USA. Today. Right now. Flu. During the 2013-2014 flu season, the risk of hospitalization for the flu, across all age groups, was 35.6 per 100,000 population. In other words, in the USA, nearly 6 times more people were hospitalized for the flu than contracted Ebola in West Africa. Though the death rate from the flu is relatively low, it is not inconsequential. For the last 10 years, between 35 and 350 US children have died per year from the flu. Similar statistics for flu hospitalization risks and deaths are found across the world. If we’re going to have a panic over a disease, the flu is far more dangerous to Americans (and Europeans and Canadians and Australians and Japanese and everyone else) than Ebola is (or probably ever be)–moreover, we have a real vaccine that really works to prevent the flu, which people still refuse to get. Cardiovascular disease. 600,000 Americans die of heart disease, every single year, a rate that is similar to other developed countries across the world. In the USA, the press are writing breathless stories about how dangerous Ebola is, yet we ignore a disease that kills more people than we’d find in a medium sized city. Every year. And heart disease is preventable, through medication, diet, exercise, surgery, and other interventions. Where’s the outrage? Where’s the headlines? Guns. A very specific American problem, I admit. But recently, 31,000 Americans died from gunshots, whether accidental or intentional. That’s far more frightening than Ebola. Sadly, there are frequent headlines about the dangers of guns, yet nothing ever gets done. Drunk drivers. There were over 10,000 drunk driving deaths in the USA in 2012. 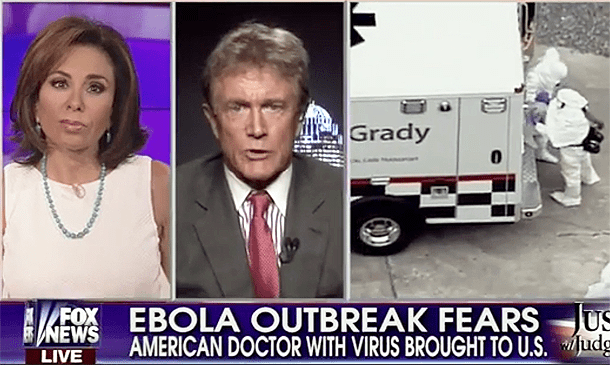 So far, 0 people have died in the USA from Ebola. But 10,000 Americans were killed by drunk drivers. Where are those headlines? I could go on and on and on. Yet, politicians and the popular press is screaming and yelling about Ebola. They want to ban travelers coming to the USA from West Africa. Some want to expel people from these countries (but with Congress’ xenophobia, that’s to be expected). However, we actually ignore the things that actually can kill us. We can prevent flu epidemics that are seriously more scary. We could do much better with heart disease with better screening and management. We can control guns. We can force drunk drivers off the road. But none of those make the headlines like Ebola. Because many people can only focus on 140 characters on their Twitter feed, and EBOLA COMES TO THE USA makes people read than FLU HAS 6X MORE HOSPITALIZATIONS THAN EBOLA. Partially, it’s because if you asked the average person across the world, they think that flu is nothing more than an inconvenience. But, Ebola kills. Millions of people. I find the Ebola outbreak to be somewhat scientifically interesting, but personally, not that important. I’m more worried about the type 2 diabetes epidemic across the world. Or vaccine deniers who put innocent people at risk. Or irresponsible gun owners (and I do realize that most gun owners are responsible) who allow children to access guns. Or the high rate of smoking in some countries that contributes to higher rates of heart disease. Or anything else. Ebola probably ranks #47 on my list of 100 things to worry about. Slightly above being hit by a random meteor. And far below heart disease. Epperson S, Blanton L, Kniss K, Mustaquim D, Steffens C, Wallis T, Dhara R, Leon M, Perez A, Chaves SS, Elal AA, Gubareva L, Xu X, Villanueva J, Bresee J, Cox N, Finelli L, Brammer L; Influenza Division, National Center for Immunization and Respiratory Diseases, CDC. Influenza activity – United States, 2013-14 season and composition of the 2014-15 influenza vaccines. MMWR Morb Mortal Wkly Rep. 2014 Jun 6;63(22):483-90. PubMed PMID: 24898165.